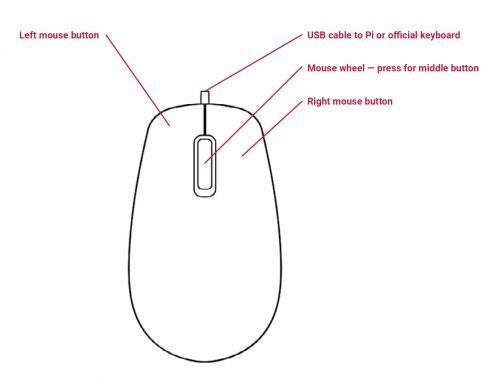 Our official mouse has three buttons, which activate high-quality micro-switches. 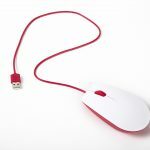 The wheel is for quick scrolling when browsing documents and web pages. 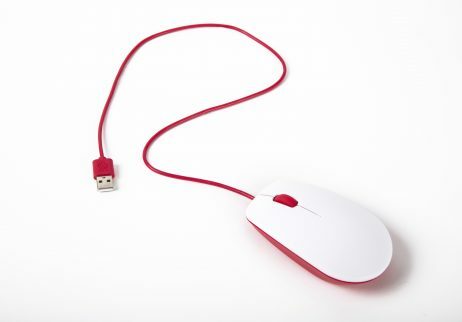 Always place the mouse on a flat, stable surface while using it. 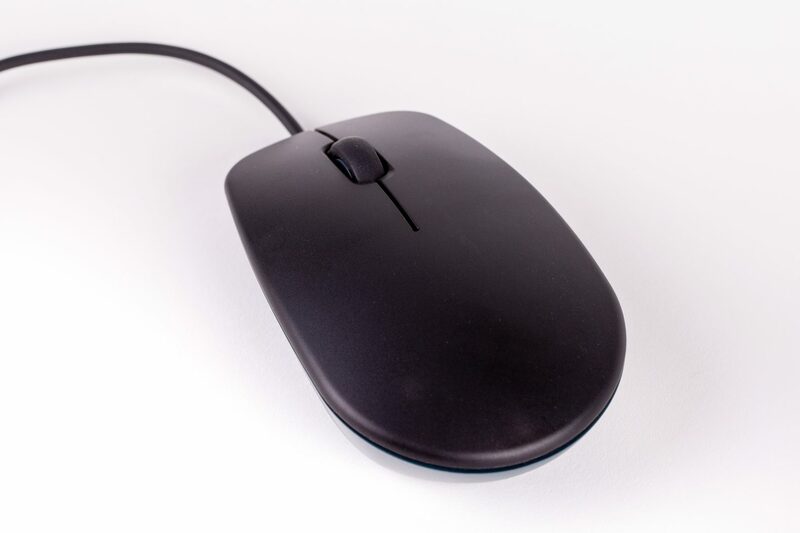 The mouse optically detects movement on the surface on which it is placed. On featureless surfaces, e.g. PVC or acrylic table tops, the mouse cannot detect movement. When you are working on such a surface, place the mouse on a mouse mat. 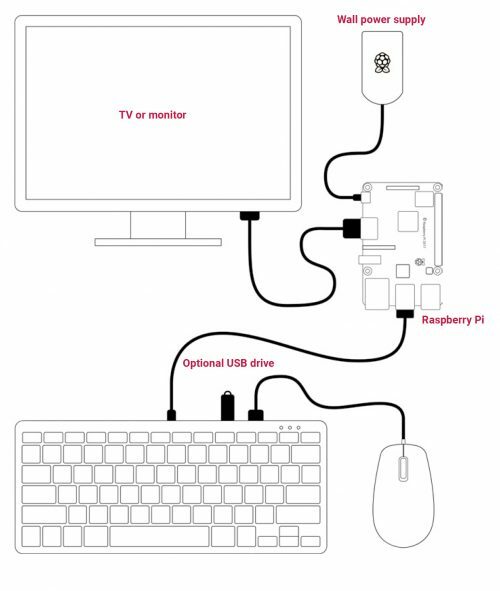 This is the configuration we recommend for using your Raspberry Pi, official keyboard and hub, and official mouse together. The hub on the keyboard ensures easy access to USB drives, and the mouse’s cable is tidy, while being long enough to allow you to use the mouse left- or right-handed. Note: It is important that the power supply is connected to the Raspberry Pi and the keyboard is connected to the Raspberry Pi. If the power supply were connected to the keyboard, with the Raspberry Pi powered via the keyboard, then the keyboard would not operate correctly. 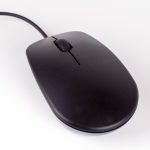 The official Raspberry Pi mouse is a three-button optical mouse which connects via a USB type A connector either to one of the USB ports on the keyboard or directly to a compatible computer.